Eileen Oddo’s journey to becoming the owner and director of an early childhood music program was a long winding road that started out being the daughter of a boy-scout leader who loved to sing with his children and who did so joyously, loudly and with great abandon throughout Eileen’s entire childhood. Continuing on a road that included years of much-loved piano lessons, choir, and, probably, way too many choruses of silly camp songs, the decision to be a music major was an easy one for her! Eileen’s college and professional studies include her Bachelor of Music in Piano Performance and Pedagogy from Loyola University (’81) A Piano Diploma from the Conservatoire de Cachan outside Paris (’83) and her Dalcroze Eurhythmics Certification from the Manhattan School of Music (’84). Post graduate studies in Eurhythmics and Orff-Kodaly were obtained with Jack Stevenson at Ithaca College and Marta Sanchez at Carnegie-Mellon University. Eileen married music conductor, arranger and pianist John Oddo in 1984 and moved to White Plains, New York. 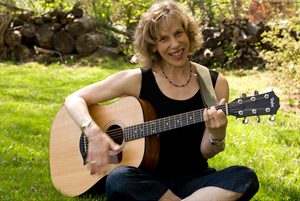 Her first music position was at the Westchester Conservatory as Eurhythmics teacher and piano teacher in the Suzuki Department and in the Westchester County Music Camp. This was the perfect soil for developing the curriculum writing skills necessary to create her own music program. Out of these experiences, Musical Munchkins was born and has grown over 31 years into a program that includes 10 teachers, 8 locations and many nursery school, child care and library contracts throughout Westchester County, New York. There are 3 Musical Munchkins licensees in the state of Connecticut, New Jersey and upstate New York running their own thriving Musical Munchkins businesses. As a member of Westchester Association for the Education of Young Children Eileen has lectured at numerous local, state and national educational conferences (through the National Chapter of AEYC) and even sang on the steps of the Capitol in Washington D.C. to open the 1990 NAEYC National Conference. 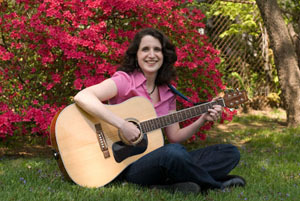 Rachel Berman has become very passionate about teaching music to children! However, as a young singer with a Master’s Degree in Voice from Manhattan School of Music, many professional credentials as a soloist and choral singer, as well as musical theater and operatic performances to her credit, her future as a classical artist was looking very bright. Working with kids was nowhere on the horizon until…. her daughter, Ava, was born in 1987. Overnight, the allure of traveling the world to work and sing lost it’s lustre. Fast forward to 2017! Rachel has been delighting toddlers at Musical Munchkins for 24 years with her warmth and effusive energy. Always the performer, Rachel has a style and sense of timing that makes her classes tremendous fun, inventive and never boring no matter how many times the ABC’s are sung. She is patient and kind with her little students, delighting in their many triumphs, large or small. "My goal is to introduce children to the joy of music while teaching them the skills they need to be good learners. In class, they naturally learn how to share, respect and listen to others. When they sing, they are practicing their verbal and language skills. Music is so much fun and in this very safe and supportive environment, kids gain confidence!" Rachel lives in Riverdale, NY with her husband, Michael. Her daughter, Ava, and son, Eric, are adults now, living their lives. Rachel and Michael are passionate ballroom and Latin dancers, studying and dancing as much as they can! Marcy began her journey with Musical Munchkins when her daughter was 2 years old. "As a music educator I was so impressed by the warmth, fun and real music education that was going on." Teaching with Musical Munchkins was a natural progression. Marcy is now is a highly experienced Munchkins teacher with many years of helping toddlers and their families love music and many years of them loving her back! Over the years, Marcy has been involved with teacher training, curriculum development, and promotion/advertising and is a very important member of our team. "Teaching Musical Munchkins has always been a rewarding, joyful and important part of my life. I feel very blessed to wake up and still feel excited about going to work each day." Marcy Smith was born in Montreal, Canada. She received her undergraduate degree in Music and Applied Social Science at Sir George Williams University, and masters and doctoral degrees in education and music from Concordia University in Montreal and Harvard University. Marcy is also a professional singer and cantor, and is a skilled piano teacher. Among her hobbies and interests are yoga, jewelry design, performing in musical theater and singing, of course! Marcy is married and has 2 lovely daughters. 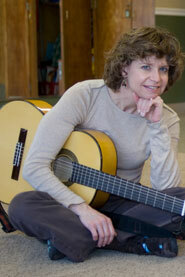 Ludmila Barrett comes to us with extensive music education from Russia. 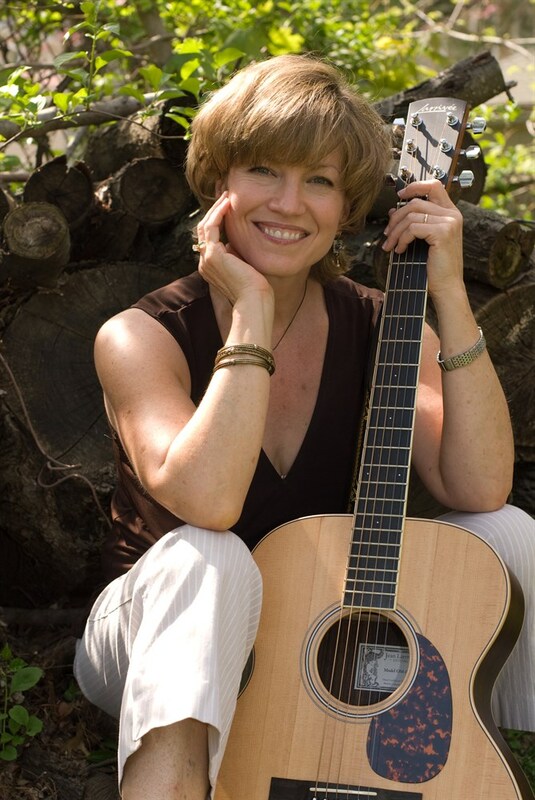 She has a bachelor's degree in music teaching from Kurenkeev Music College, a Masters degree in music and classical guitar from Beshenalieva Institute of Arts. 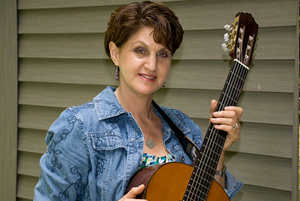 Additionally, Mila holds a post-graduate degree in classical guitar performance from Kyrgyz State Conservatory. Mila taught classical guitar at a children's music school in Bishkek, Kyrgyzstan, for ten years before moving to the United States where she has proudly become a citizen. Mila has a son Michael, who is a college student and our Musical Munchkins webmaster and she has a daughter, Sophia, who is a ballet dancer, both former Munchkins! Mila became interested in early childhood music education after attending Musical Munchkins with her son where she expressed interest in teaching our program. Her success with moms and children is so evident. In a recent letter from a current parent, Miss Mila has been coined as "our very own Mary Poppins! She is truly a gift. She isn't afraid to follow the kids' leads, especially when they are full of energy". We thank that parent for sharing her praises. Mila has been a Musical Munchkins teacher since 2001 and currently teaches at our White Plains location. Mila also teaches private guitar lessons as well as a Russian music enrichment program for young children at Language Link Center. Mila believes every child has musical talent. She enjoys bringing that talent out in all of her students and watching them grow with music. Amy is a PACE University graduate, former teacher of elementary/early childhood education with a background in dance, fitness, theater and music. Amy lives in Pleasantville with her husband Bill. She has two former Munchkins, daughters Ashley and Melanie. Amy also enjoys assisting Eileen Oddo in managing the advertising and marketing efforts of Musical Munchkins. MaryEllen Barbieri discovered Musical Munchkins as a "munchkins mom" herself when she took a class with her daughter, Lauren, a toddler at that time. Because MaryEllen has Bachelor degrees in Music Therapy and Applied Voice from SUNY Fredonia, she truly appreciated the Musical Munchkins curriculum from a therapeutic as well as an early childhood developmental perspective. MaryEllen's therapy work included head-injury rehabilitation and Alzheimer's day treatment. Her professional work with children consisted of a therapy/developmental music curriculum when she served as a music specialist at Blythedale Children's Hospital. MaryEllen also works as volunteer for Scarsdale Community Baptist Church, directing the children's music and Sunday school programs. In her spare time, MaryEllen is a Girl Scout troop leader. She has lived in Eastchester for many years with her husband, Peter and her three children Peter, Catherine and Lauren. Robin received a Bachelor of Music in Voice at the prestigious Eastman School of Music. She performs as a soloist in many genres including opera, choral music, religious music and advertising jingles. Robin moved from Manhattan to Westchester and discovered Musical Munchkins through a friend. “As a musician, I am impressed with how the program teaches young children all the fundamentals of music in a fun and active format. As a parent, I appreciate the gentle approach and the importance of treating each child as an individual”. Her teaching credits include Music Program Director at Breezemont Day Camp, Orienta Beach Club Camp music instructor, Westchester Conservatory (Summer Camp Coordinator) and teaching private voice students. Robin has been with Musical Munchkins since 2006, and her gentle style with our youngest Munchkins have endeared her to the families she has in her classes. Robin lives in Hartsdale with her children,Marina and David, her husband, jazz trumpeter John Sneider and their American Eskimo dog, Max. In her free time Robin loves baking and reading. Adrienne is a Westchester native who was raised in Pleasantville NY. From an early age, she was highly involved in Music and Theater. She received her B.A. in Music at Manhatanville College in Purchase NY, and her Masters of Music in Classical vocal performance at the prestigious New England Conservatory in Boston MA. Adrienne has performed extensively in Opera and Musical Theater as well as on film and television.Adrienne went on to receive her Masters of Professional Studies in Education at Manhattanville College. She holds 3 New York State teaching certifications, Music K-12, Childhood Education Grades 1-6, and Special Education Grades 1-6. For 5 years, Adrienne taught Music to grades K-2 at The Virginia Road Elementary school in the Valhalla school district. When she and her husband, Shannon Robinson, had their daughter Audrey , Adrienne wanted to find a career path that would merge her love of music and her teaching experience with motherhood, Musical Munchkins is a perfect fit. Adrienne is currently not only one of our teachers, but is also a Musical Munchkins parent. Angeline Brown has been on staff with Musical Munchkins since 1999. Angeline received a BA with a piano concentration from Binghamton University in 1994, and a Master of Music Therapy Degree from Temple University in 1997. 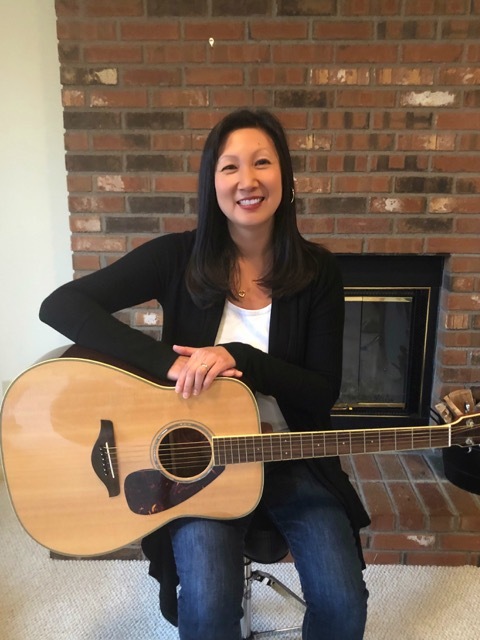 Angeline has worked as a music therapist for the Music Therapy Institute at the Music Conservatory of Westchester for the past 15 years. She also enjoys teaching piano and music directing at various community theaters in the Westchester and Putnam area. Angeline lives in Carmel, NY with her husband, two children, and two puppies! Sandi's interest in music began at an early age. In her youth, she studied four different musical instruments and performed at school, church and local theaters. She received her B.A. from Connecticut College with a concentration in English and music. Sandi had a successful career in corporate human resources before discovering a new passion in early childhood education. She started working as a music teacher and teaching assistant before becoming head teacher at a local preschool. After eleven years of teaching, Sandi decided to combine her love of children with her musical talents at Musical Munchkins. She brings a personal and professional perspective of the benefits that music can have on young children. "Exposure to music is so valuable during a child's formative years. Music can stimulate cognitive, social, emotional and physical development. And children are so instinctively drawn and engaged to music that it's a natural progression and growth." Sandi loves to travel, read and eat. She lives in Pleasantville with her husband Paul, children Sarah and Connor, and cat Nika.